Looking for a good deal on Android games? 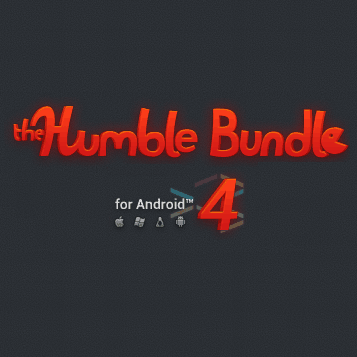 The Humble Bundle for Android 4 is on sale at ‘name your own price’ — but for a limited time. The HumbleBundle is a now well-known outlet to pick up indie games at beyond-reasonable prices. From now until November 22nd, the Humble Bundle is offering 6 best-selling games for Android in it’s 4th iteration of Android game bundles. 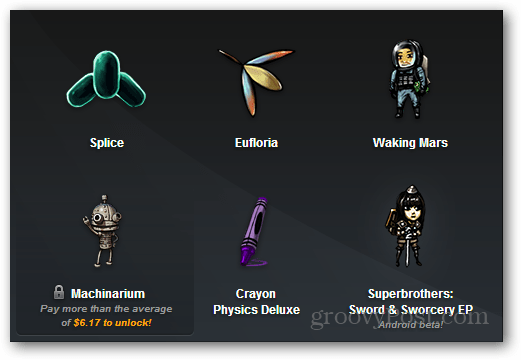 On the list is Splice, Eufloria, Waking Mars, Crayon Physics Deluxe, Superbrothers: Sword & Sworcery and Machinarium. Each game is cross-platform and will work on Linux, Windows, and Mac. It also includes Steam keys for each title assuming you pay more than $1. The best part of it is that you can decide how much of your payment goes to the developers, charity or the HumbleBundle itself. As is customary with the Humble Bundle, only five of the titles are available at a “Name your own price.” To get the sixth title (Machinarium) it requires beating the average (which as of now is $6.17 and rising). Of course, you can always throw in more than that and top contributors have their site/twitter linked on the payment leaderboard. Also as is customary, we expect to see more games added to this HumbleBundle line-up as it nears the end of the sale, but that isn’t guaranteed. Either way, there’s six great indie games in this bundle and it’s a great way to get them on the cheap.